Multiple Projection or synchronized projection, essentially means displaying the same images / video on more than one projector / screen at the same time. Multiple Projection is done using splitters (or multipliers) that split the video signal while amplifying the video signal thereby preventing data loss. 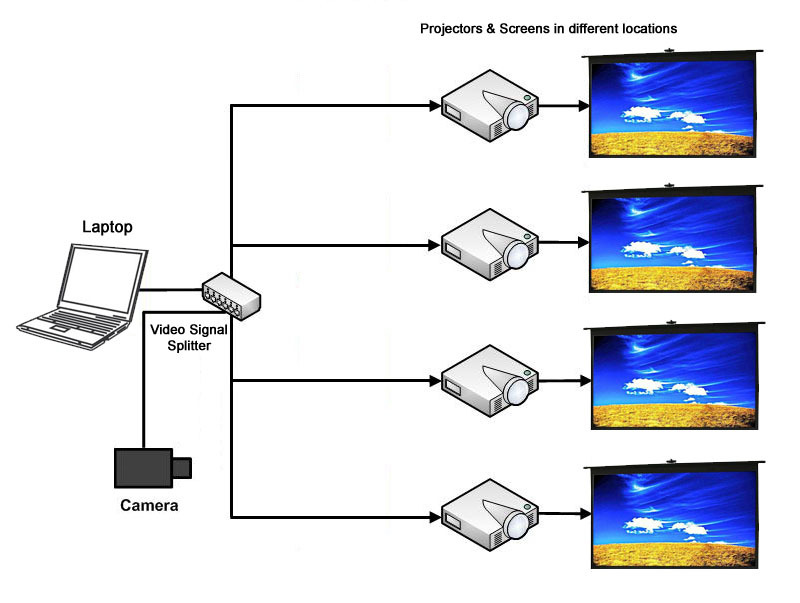 Apart from the individual projector / screen rental fee, Multiple Projection costs extra as it entails networking and wiring the multiple projectors (see illustration below).